is an equality between two mathematical expression, which are called the left hand side and the right hand side. Contains one or several unknowns. If it contains an unknown, we usually use the letter x. The letter x is an unknown and 5x + 2 is equal to 18, it is an equality. Many scientific and technical formulas can be expressed as equations. 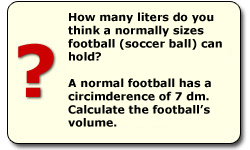 One example is when calcultating the volume for a sphere (a ball is a sphere). 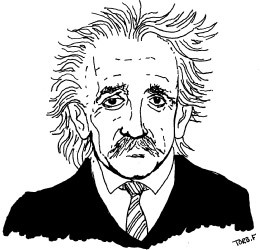 E = mc2 where he describes energy with mass. We will go through more about formulas in the section Formulas and Functions.